The Arduino Nano is a very small and very cheap (about $2,- on e-bay) development board with an Atmel 328P processor. 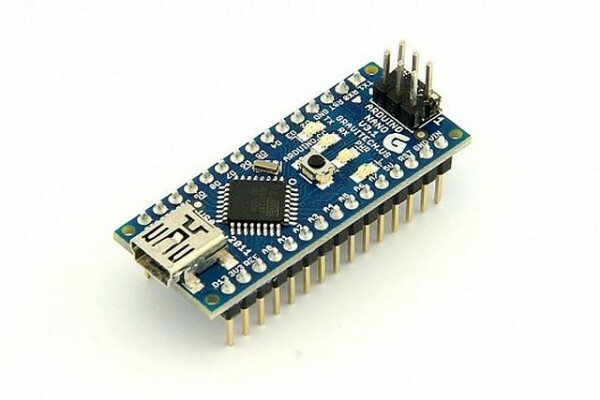 It has a bootloader on board and is very easy programmable with the Arduino IDE. For all kinds of hardware there are a lot of Libraries available on the Internet. The Arduino language is also very strong in special functions and they are very easy to use. 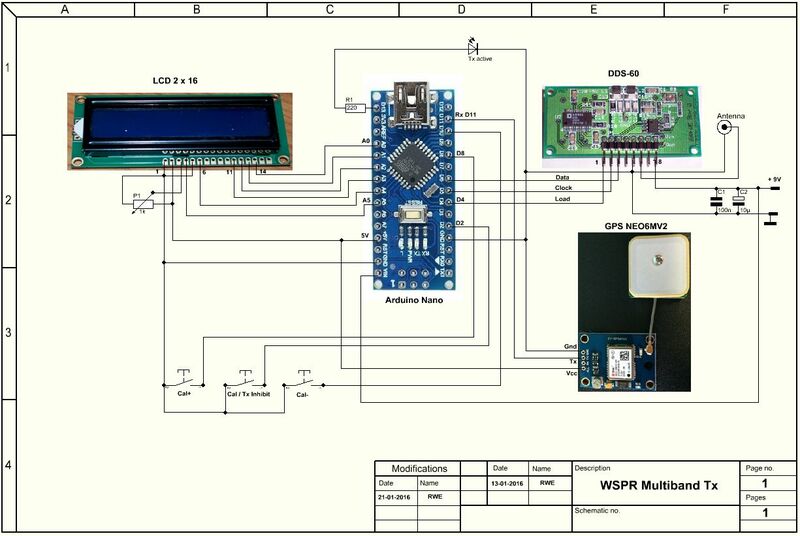 I2C and SPI are standard communication interfaces. At this moment I made already a lot of small projects, in first instance to test the many different TFT and LCD displays which are available on e-bay (see my page about that). 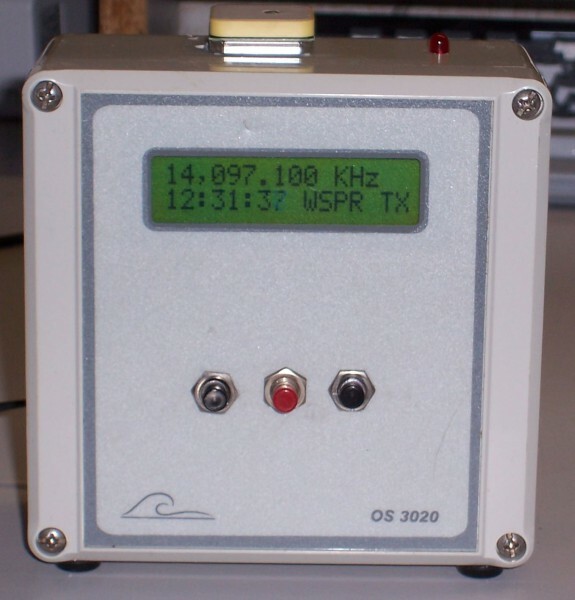 WSPR Multi band transmitter with GPS clock. 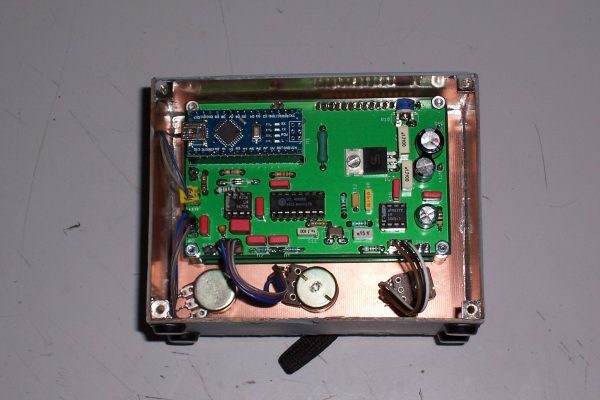 On the site above I found an Arduino sketch for making an all band WSPR transmitter. I modified the software for using a DCF clock module (Conrad #641138) and removed the QRSS part as well. But the DCF module was not a big success. It was not stable and because of the man-made noise the receiving conditions were poor in my shack. The program starts by waiting for a reliable GPS signal and after that the clock is synchronized it is updated every second by a timer interrupt. Within this second the program determines which frequency should be used for the next transmission on the even minute. Every 2 minutes the frequency is changed to the next frequency, in the same order as the hopping function in the WSPR receiving software. So it’s easy to automatically monitor your own signal over all the 10 WSPR bands. The WSPR transmission is done by a mSecond timer interrupt and the complete coded message is transmitted in about 1 minute and 53 seconds. 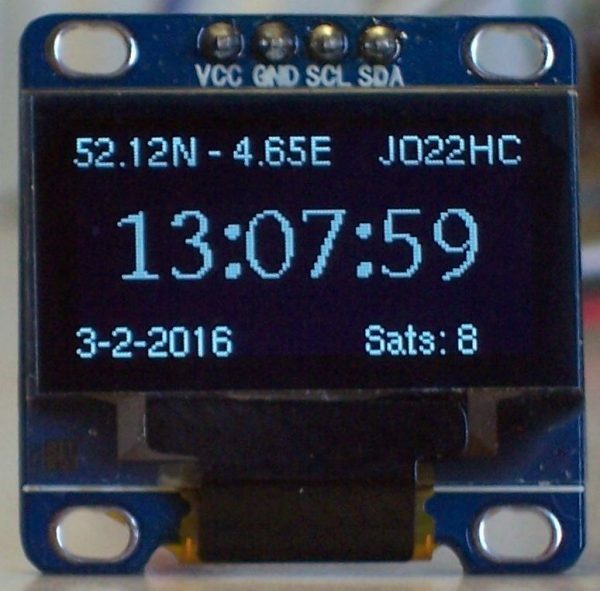 In the following 7 seconds the clock is synchronized by the GPS time and the total of received GPS satellites is displayed as well. Important note: If you are using the software in the download, please change at line 80 – 82 the ‘XXXX’ with your own Call, Location and Output Power. If you are not able to do that, please contact me at pa0rwe[at]veron[dot]nl . – While holding the ‘CAL’ pushbutton depress the appropriate ‘CAL+’ or ‘CAL-‘ pushbutton to set the output frequency to 10.000000 MHz. 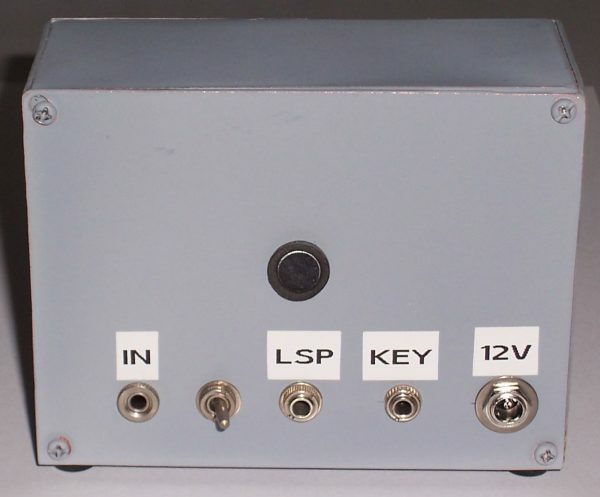 Below you see the enclosure with in the right lower corner the DDS60 transmitter producing an average 13 dBm signal. 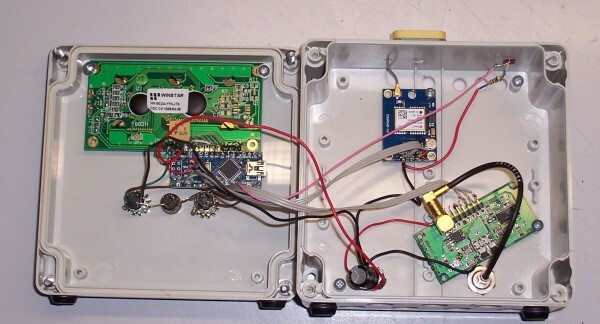 On top of the enclosure is the GPS antenna and on the inside view you see the GPS module as the small blue board. On the left, below the LCD display you see the Arduino Nano module with USB connector. Because of the very cheap available GPS units I started building a compact GPS receiver with OLED display. 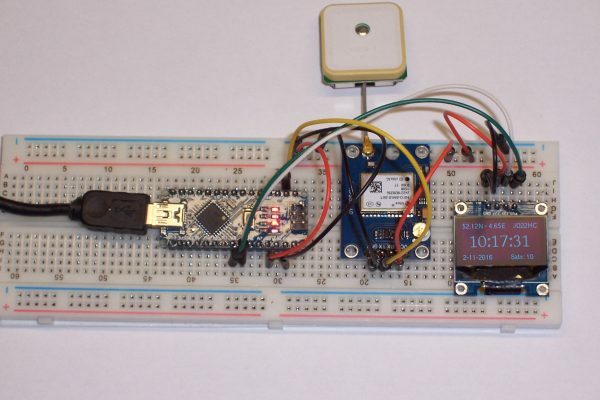 I used the GPS library from Adafruit and a fast working graphical library from Oliver Kraus. You will find the connections between Nano, GPS and OLED in the sketch. 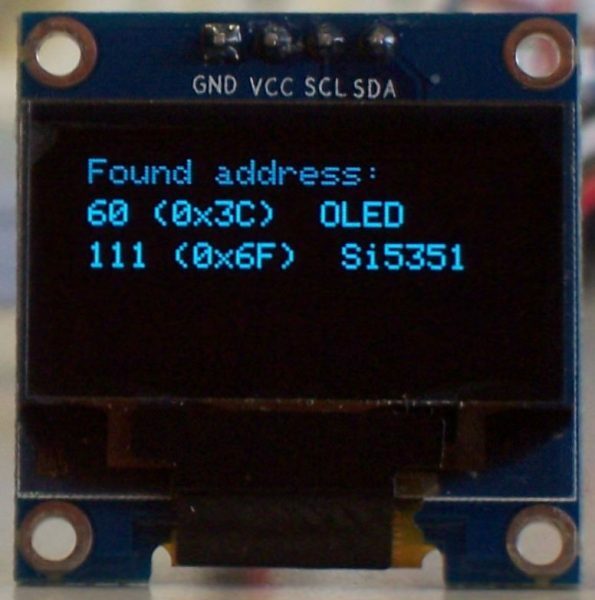 To find the right I2C address of an I2C device I made a program that displays on an OLED the I2C address of connected device(s). I added an OLED display to the original sketch of Nick Gammon. 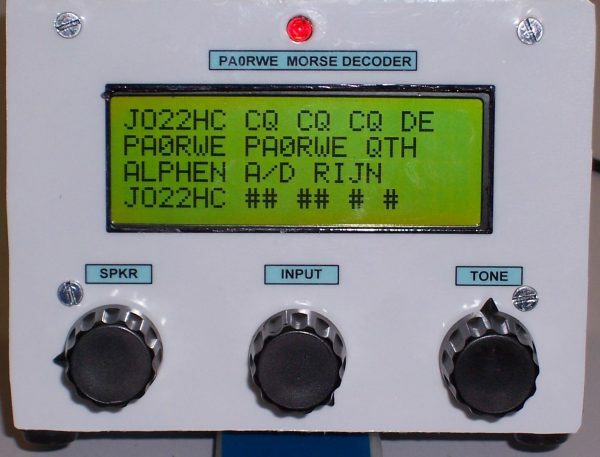 In the VERON magazine of November 2015 there was a description of a CW Morse decoder built around an Arduino Nano. I liked the project and built it in a home made enclosure made from PCB. I tested it with an Arduino program called ‘cw_foxhunt’ which you can find here. The program worked fine but the Tone tune was very small. I found that the range was from 800-3300 Hz which I find to large. So a changed the resistor in series with the 22K potmeter from 3K3 to 10K. After that, the frequency range was from 580-1200 Hz, much more in common to a CW signal. Added to the decoder was a key function with a 4060 side-tone generator and a LM386N amplifier. The schematic (made by Joost, PE1RCD) can be downloaded here. For easy use I added a electret microphone and mount it in the back of the enclosure. With a switch I can select the mike or the ‘normal’ input. See new picture of backside view. The schematic was found on internet. See: http://www.instructables.com/id/Pre-amp-to-electret-mic/ Place the box in front of the Rx speaker and go with it! Below some pictures of my decoder.